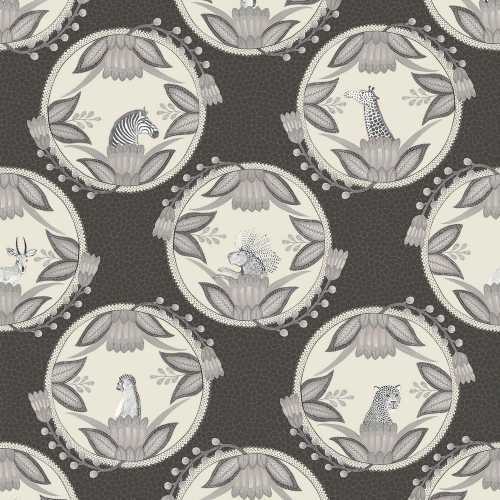 The Ardmore Cameos 109/9043 is a monochromatic, detailed print of a repetitive circle print containing a detailed grey drawing of an African Animal amongst African multi grey toned plants which all sit inside the cream circle motifs that represent the African plates. 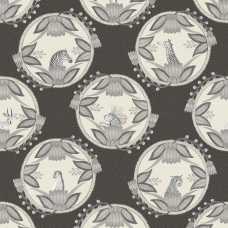 The background/ negative space of this print consists of a dark, two-tone grey and black intricate spots. 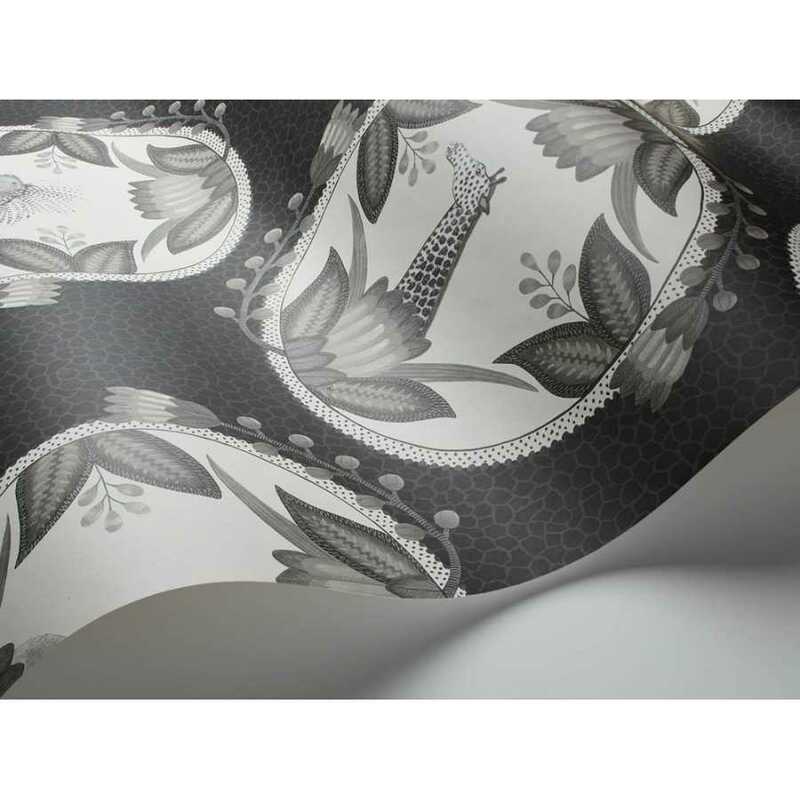 The 109/9043 colourway of the Ardmore Cameos is one of the bolder options and easily matched with any colour or interior space due to its neutral tones.